contemporary sources of Lasso’s music – both printed and manuscript – are preserved in Slovenian libraries and archives. Among them are two incompletely preserved manuscripts, dating from ca. 1600, today kept at the National and University Library in Ljubljana (Ms 232 and Ms 285). They both contain Lasso’s Missa super Je ne menge poinct de porcq, first published in Lasso’s second book of Masses, Quinque missae, by Claudio Merulo in 1570. Interestingly, this early Munich-period Mass is based on a Parisian chanson by Claudin de Sermisy (ca. 1490–1562), whose content is unequivocally scatological. It was quite common for 16th-century composers to base their settings of the Mass Ordinary on pre-existent polyphonic compositions, whether sacred or secular. One of the rare descriptions of this technique – widely known as parody technique – is given in Pietro Cerone’s El melopeo y maestro (1613). It can serve as the basis for an elementary analysis of how Lasso employed Sermisy’s chanson Je ne menge point de porc. The analysis shows that Lasso, for various reasons, does not always follow the established practices as they can be observed from Cerone’s treatise. Nevertheless he demonstrates significant skill in utilising borrowed material to compose his parody Mass. Lasso’s Missa super Je ne menge poinct de porcq is particularly intriguing due to its use of Sermisy’s chanson; what could be the reason for Lasso’s decision to use Sermisy’s profoundly secular chanson in order to compose a Mass setting? Although the answer can be multifaceted (such as an intention to establish a special textual relation between the Mass and the model), the principal reason seems to be the musical qualities of the chanson, which proved to be a very convenient and worthy source for composing a short Mass. Grabnar, Klemen. 2013. “Je Ne Menge Poinct De Porcq: Orlando Di Lasso’s Early Parody Mass”. 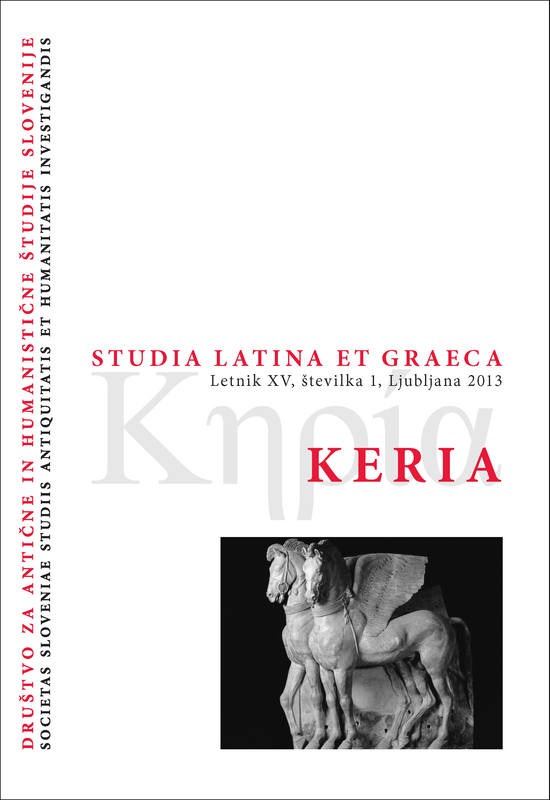 Keria: Studia Latina Et Graeca 15 (1), 119-31. https://doi.org/10.4312/keria.15.1.119-131.